"OUTstanding Comedy!" - someone else. We will be presenting our Formats Kiki (long form) and Open Format - two distinct formats but with a very Queer outlook. 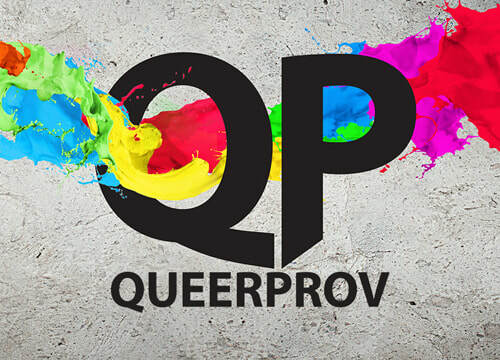 QueerProv is a queer (lgbtq+) improv comedy show featuring some of Vancouver's silliest, most diverse talents. With performers from the improv, standup, theatre, and drag communities, we bring the funny, seamlessly integrating queer characters and stories. We have been performing in Vancouver since 2005 in our many incarnations with QueerProv being our latest offering. We Function as a not-for-profit society dedicated to creating a Queer community that creates, supports, enjoys, and teaches improvisational (improv) theatre. We Give voice to diverse members of the Lesbian, Gay, Bisexual, Transgender, and Queer (LGBTQ+) community through improv theatre. We Create public presentations that promote diverse members of the LGBTQ+ community to the community at large. We Produce workshops on improv for the LGBTQ+ community.